Another uncommon and little-known bat, the whiskered is closely related to the Natterer’s, Daubenton’s and Brandt’s bats. 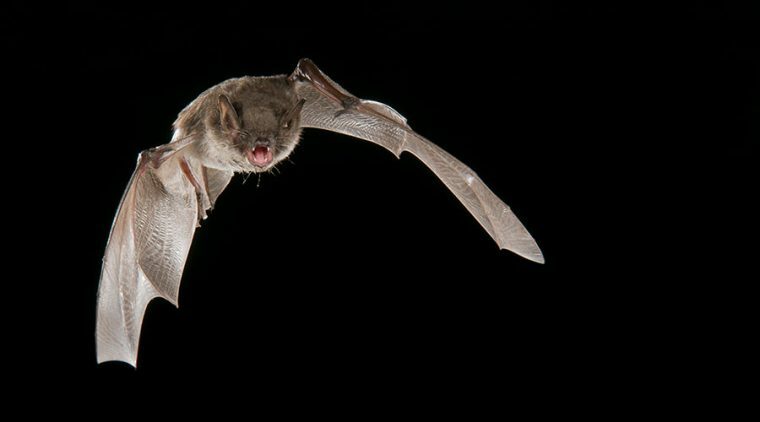 The whiskered bat typically forages along forest tracks or near water. It has a rapid fluttering flight and flies along a regular ‘beat’ over and over again. It is sometimes found roosting in attics of old buildings but there are very few confirmed roosts in Ireland. It is also sometimes found roosting in crevices under stone bridges and in trees.